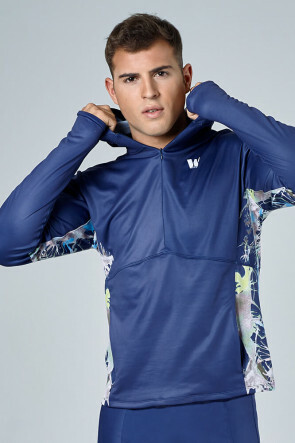 Whitefit offers midlayers layers for men. A combination of design, functionality, technicality and comfort. With fabrics that absorb sweat and expel it to the outside, they have a great capacity for transpiration. Perfect jumpers for jogging on the coldest mornings or as anmidlayer on winter days. Bring your Whitefit sweater everywhere!